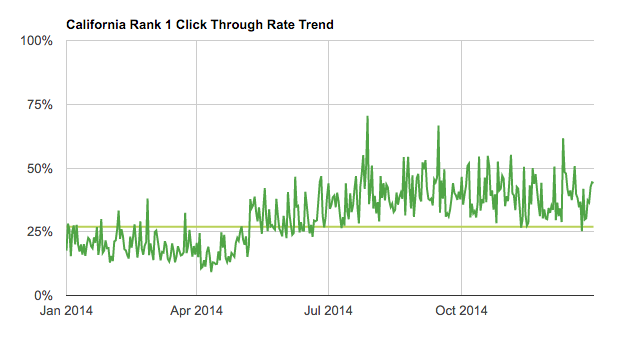 See our detailed guide and video tutorials on using click through rate data. The Click Through Rate report shows the click through rate at each ranking position for each query segment. Hover over each cell to see the data that went into the calculation. Data that contains fewer than 1,000 impressions is shaded, as it may be skewed. Click on a cell to see the CTR trend for that query segment at that ranking position. This data can be helpful in tracking search result display issues or enhancements.